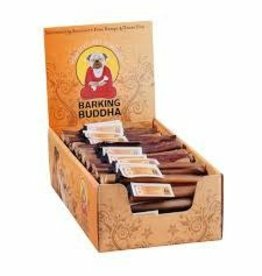 Barking Buddha Pet Products are made in an FDA approved facility and sourced from South America. Intended as a treat, not a food. 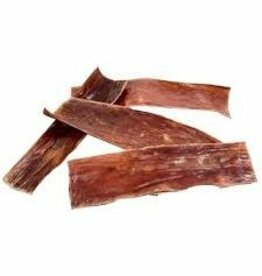 BARKING BUDDHA BARKING BUDDHA CURLY BULLY STICKS 9"
BARKING BUDDHA CURLY BULLY STICKS 9"
BARKING BUDDHA BARKING BUDDHA BEEF CHEEK SLICES 12"
Barking Buddha Wild Goat Ears single ingredient chews 100% natural making them a healthy alternative to rawhide. 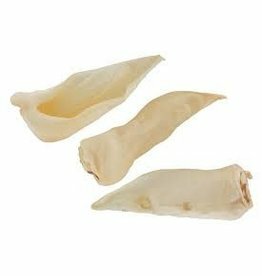 They are additive free, chemical free and preservative free. 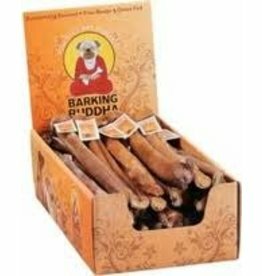 Great for small to medium dogs. The 6” size makes it a great quick treat that packs lots of flavor and healthy protein. 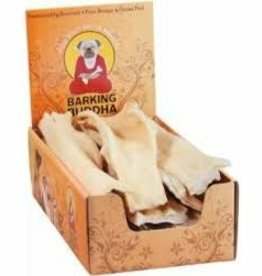 BARKING BUDDHA BEEF WEASAND CHEW 6"